Robin attends the World Music Awards in Monte Carlo in 2010. 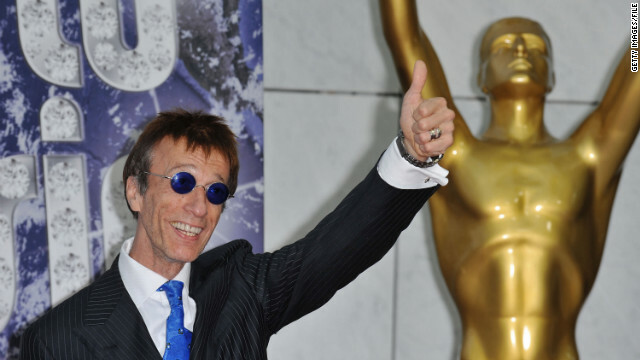 Robin Gibb, one of three brothers who made up the disco group the Bee Gees behind "Saturday Night Fever" and other hits from the 1970s, died on Sunday, according to a statement on his website. Gibb "passed away today following his long battle with cancer and intestinal surgery," said the statement, which was attributed to his family. "Thank you, people whose Facebook profile picture is them as a baby, for basically saying, 'Here's the last time I wasn't ugly.'" If that made you laugh, you can thank Jimmy Fallon, as it's just one of the many hilarious subjects he shows gratitude for in his new book, "Thank You Notes 2," arriving May 22, 2012. 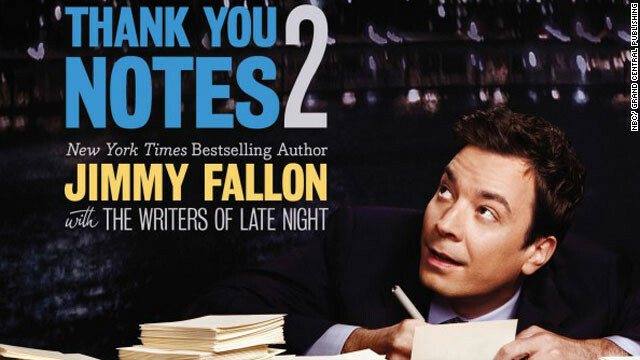 Co-written with the "Late Night with Jimmy Fallon" scribes, the book plays off the popular "Thank You Notes" segment on the show, and is the follow-up to his first published collection of "Thank You Notes."